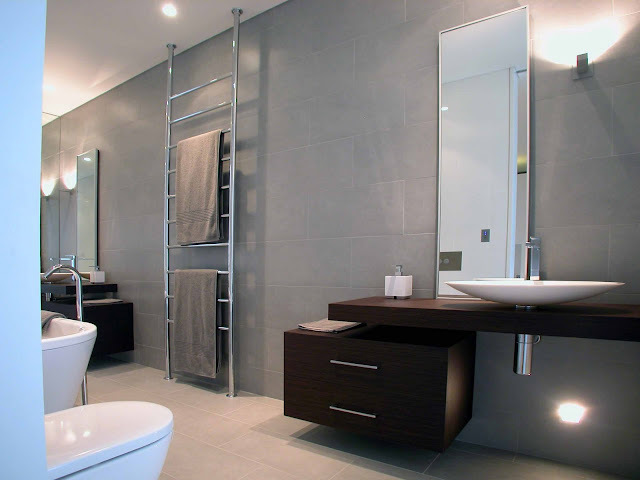 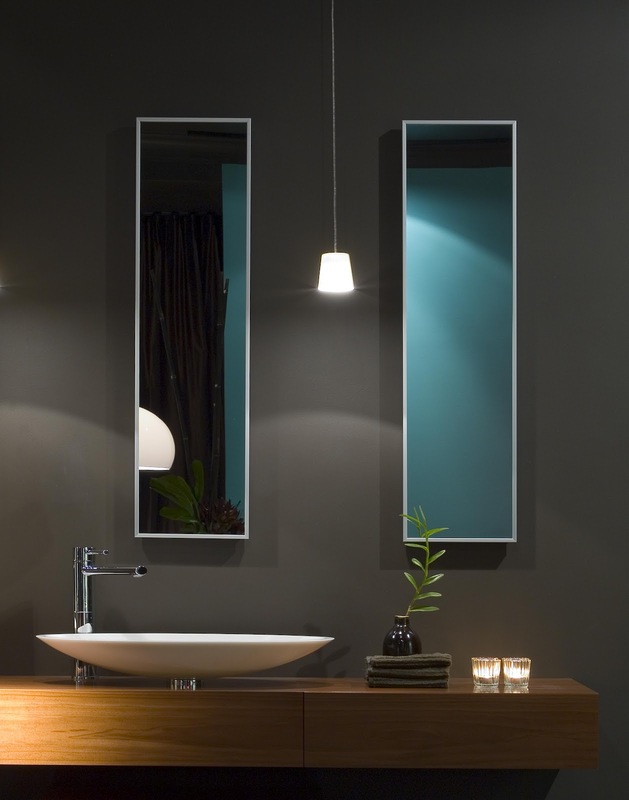 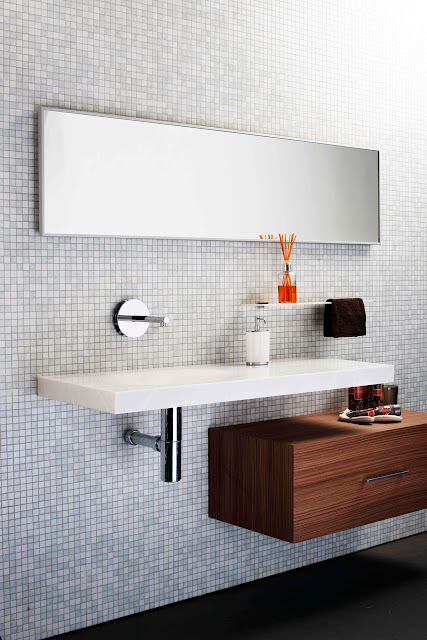 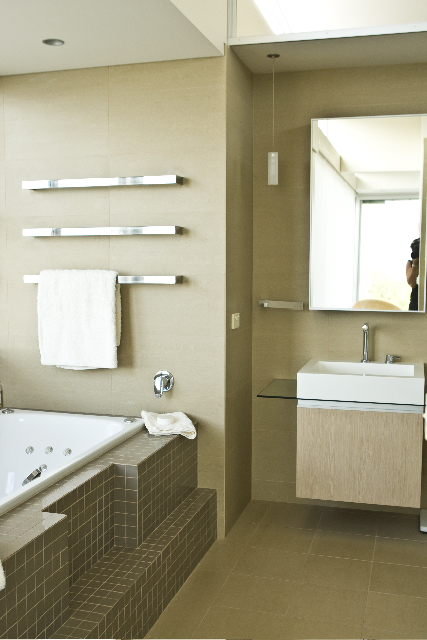 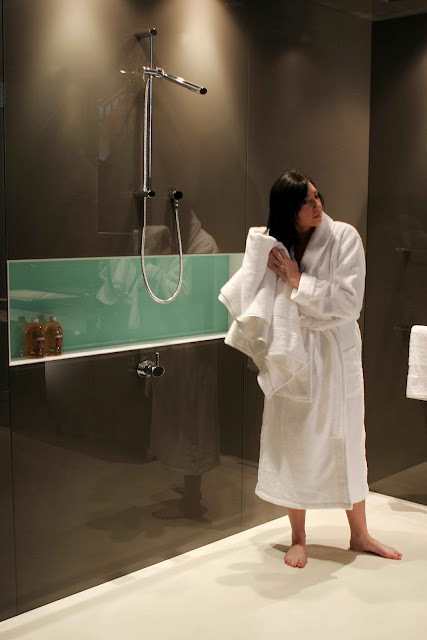 Smart lighting solutions for a small bathroom. 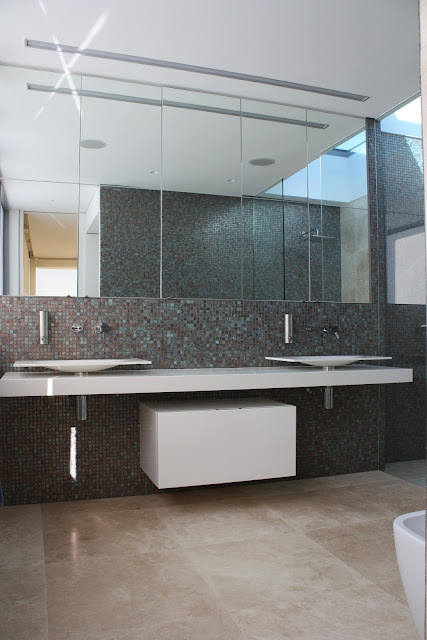 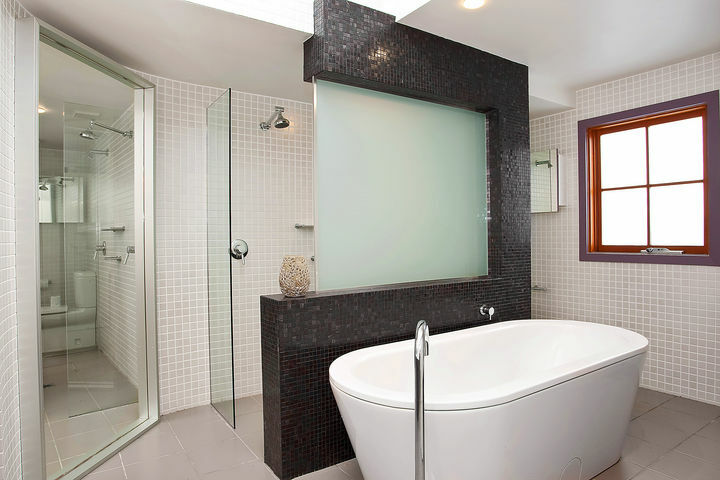 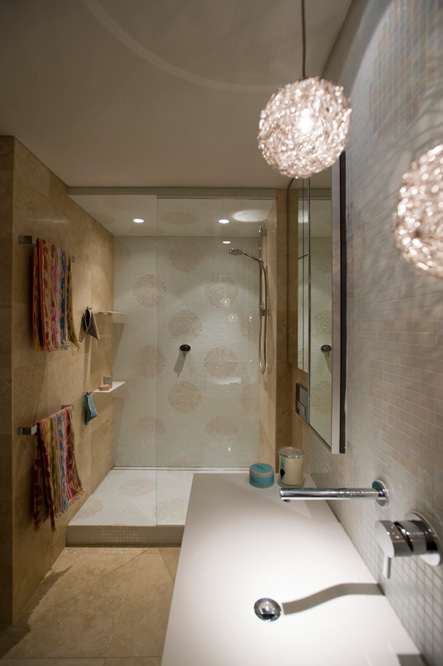 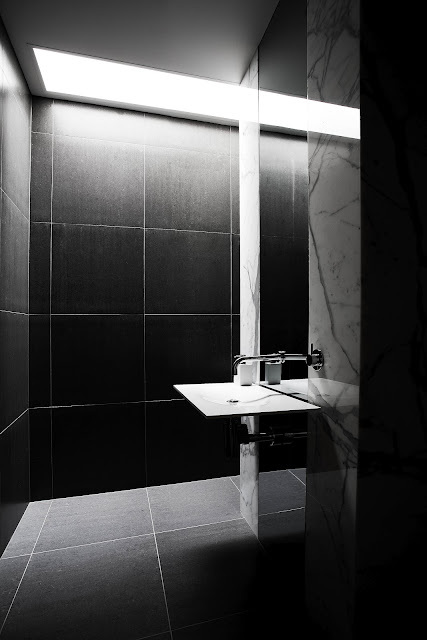 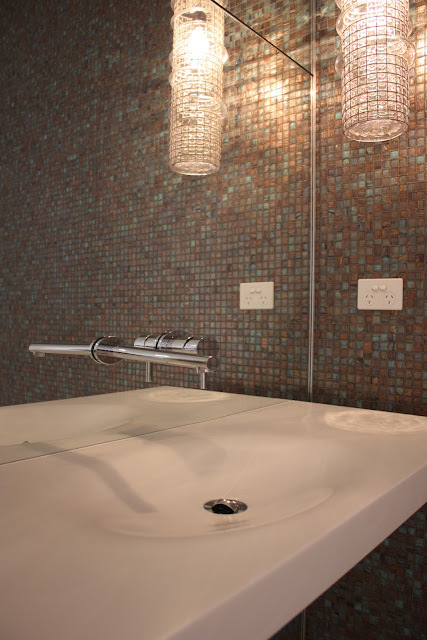 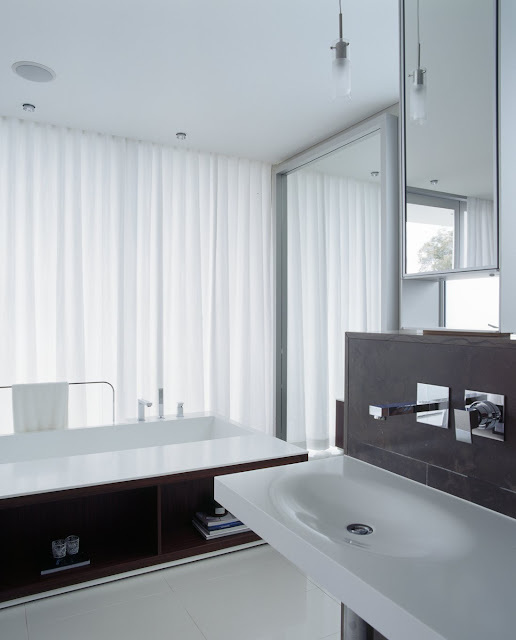 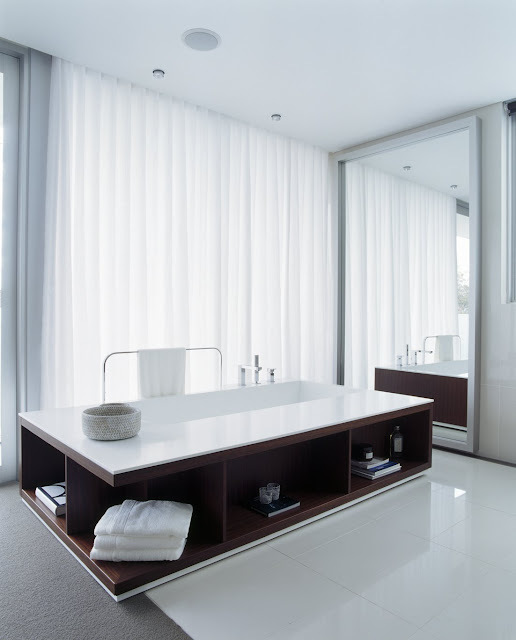 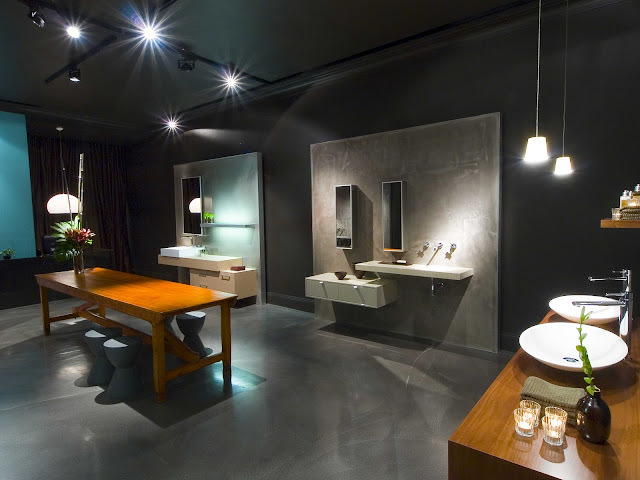 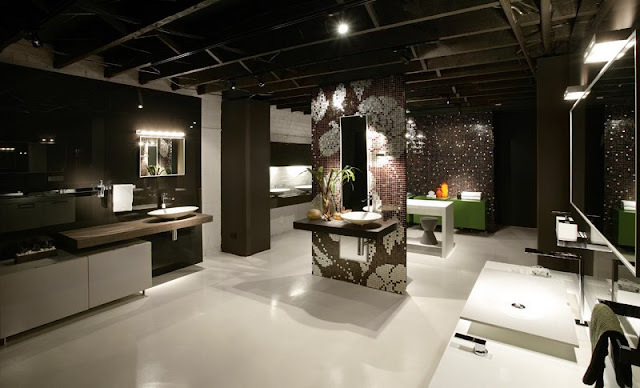 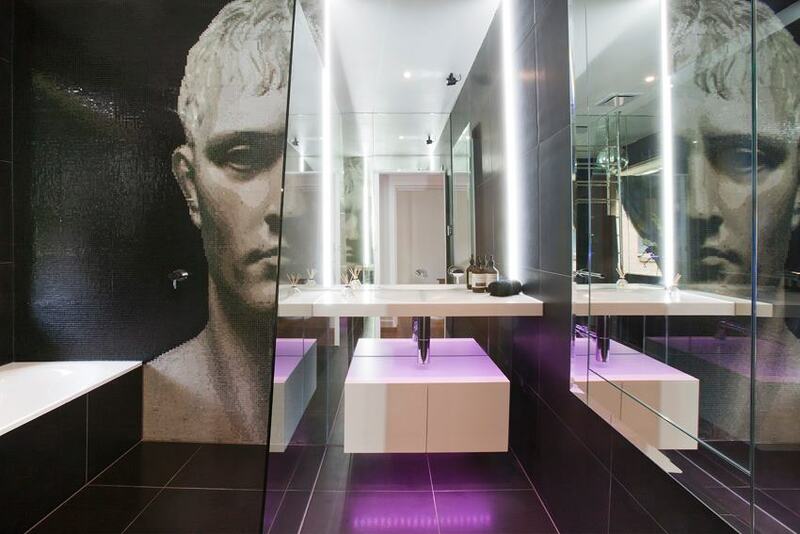 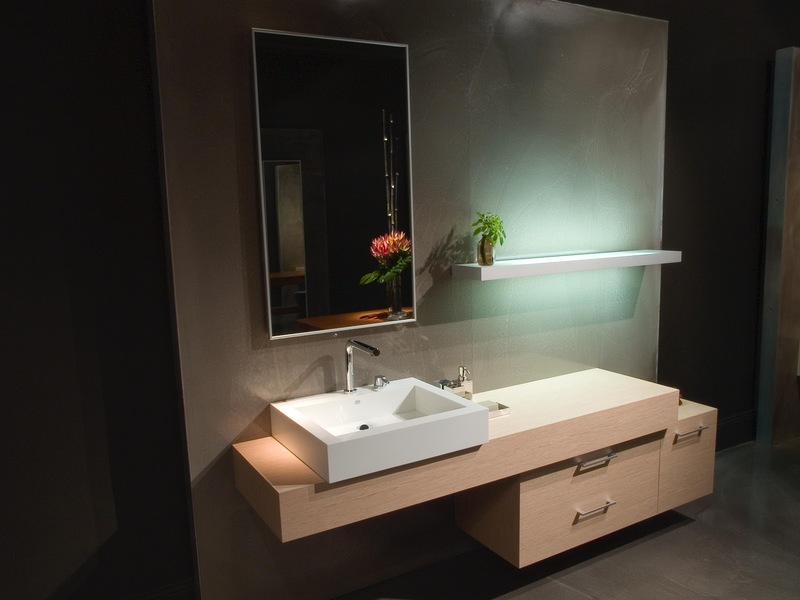 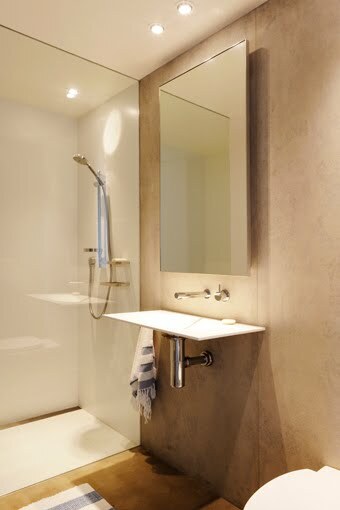 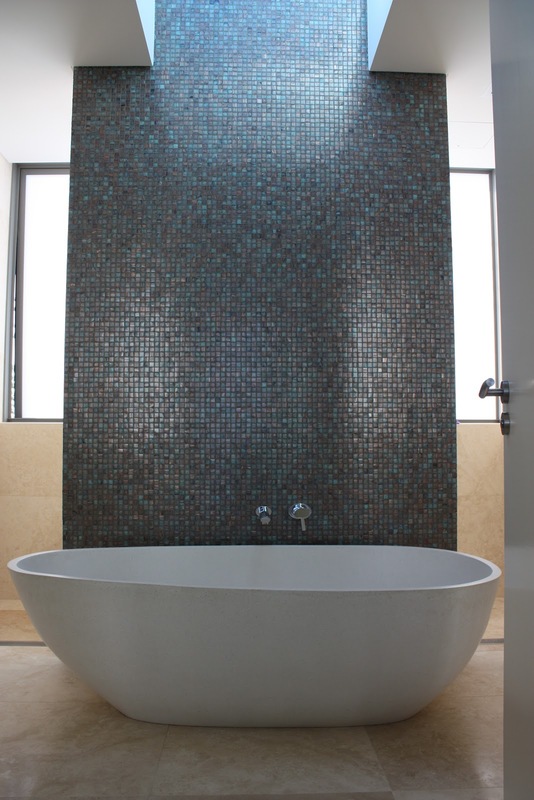 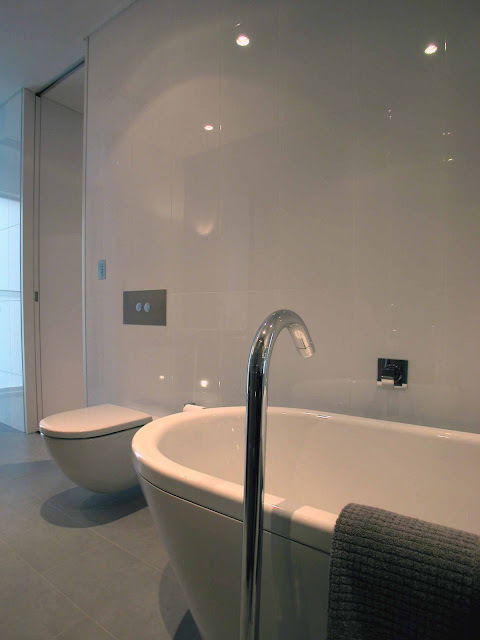 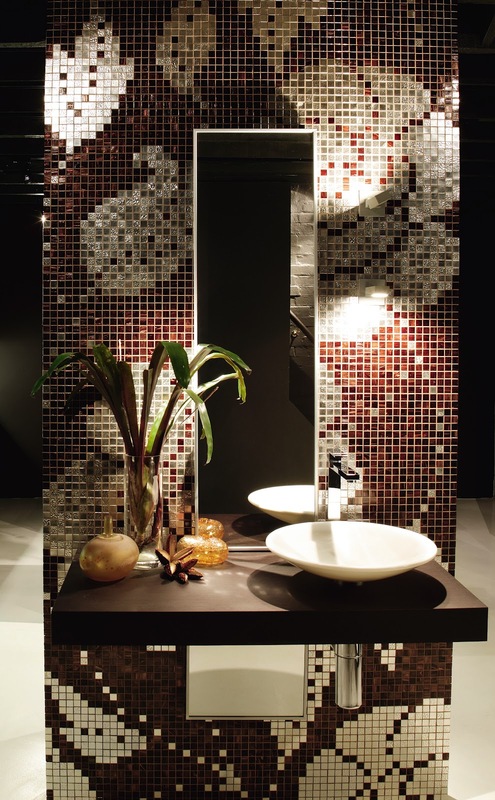 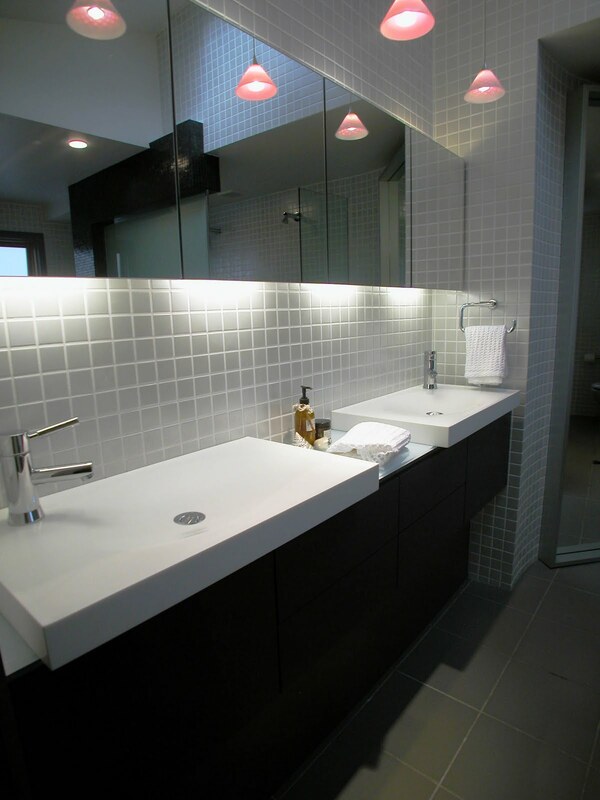 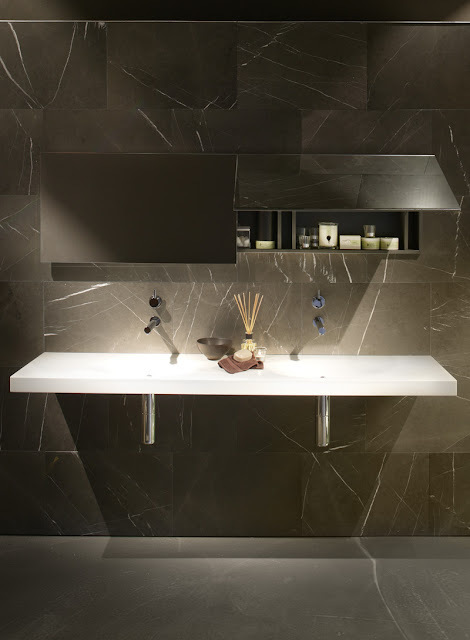 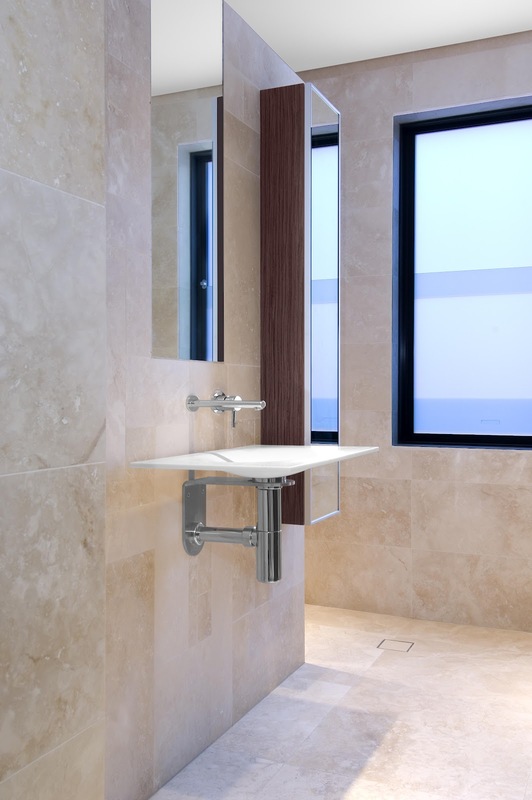 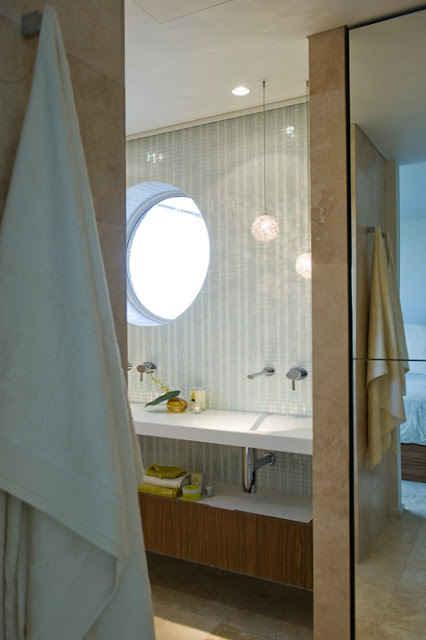 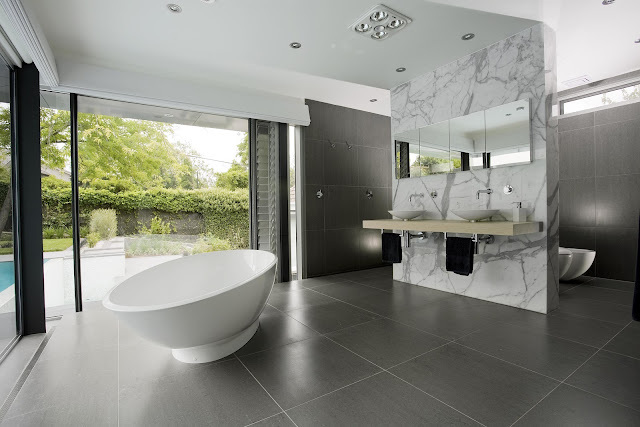 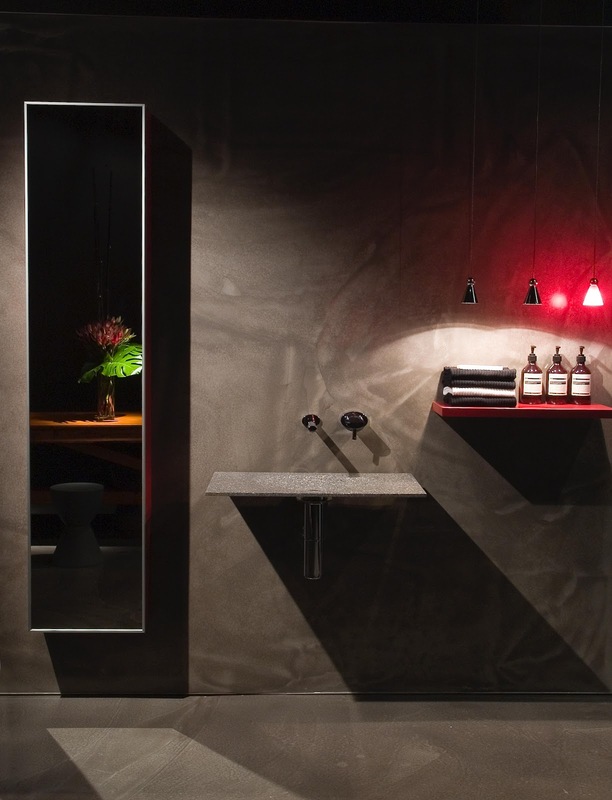 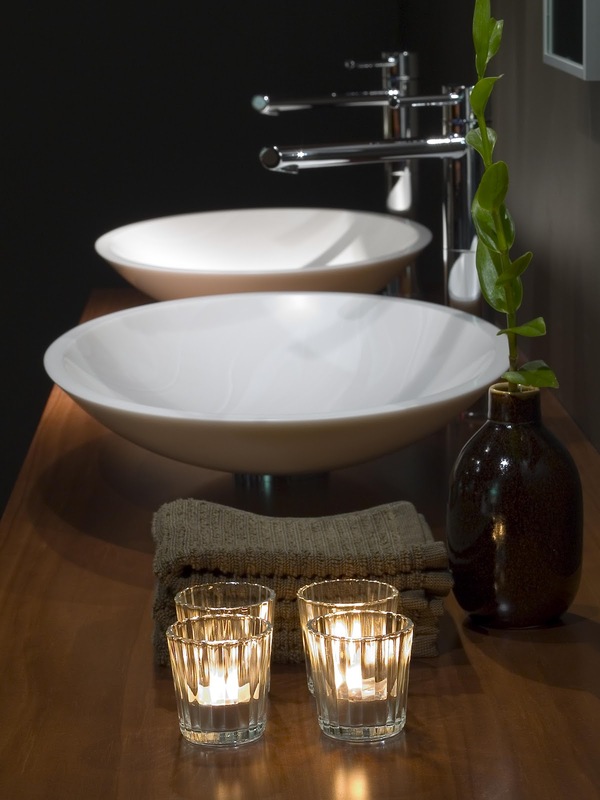 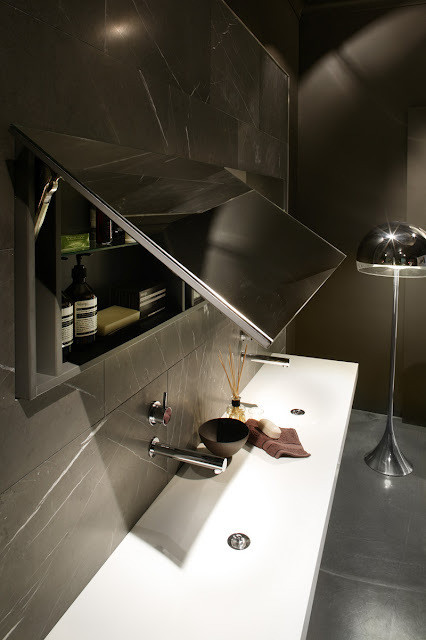 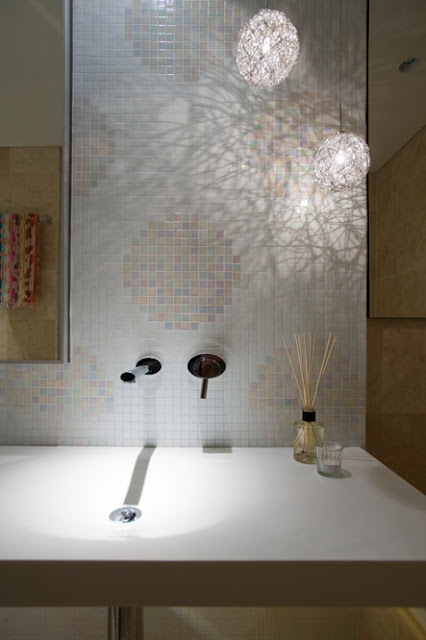 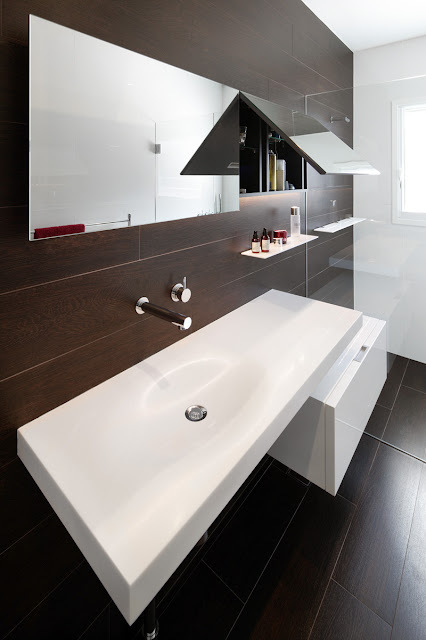 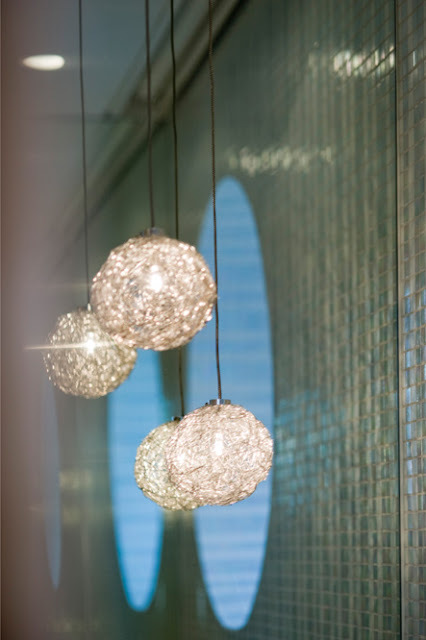 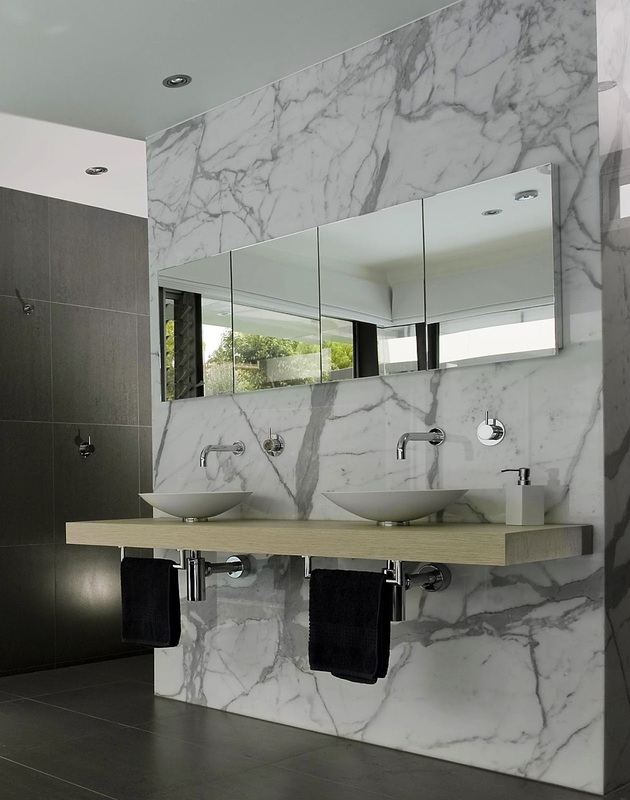 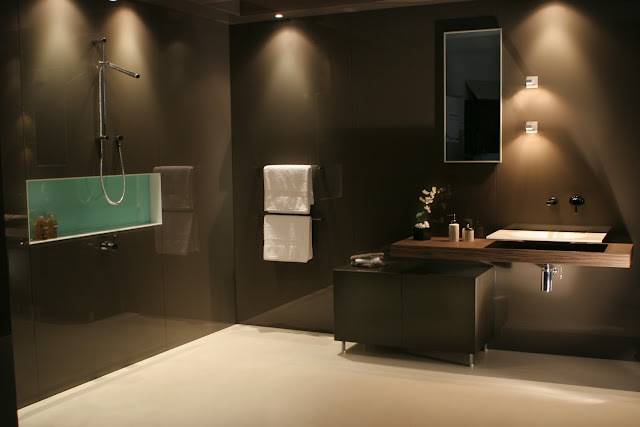 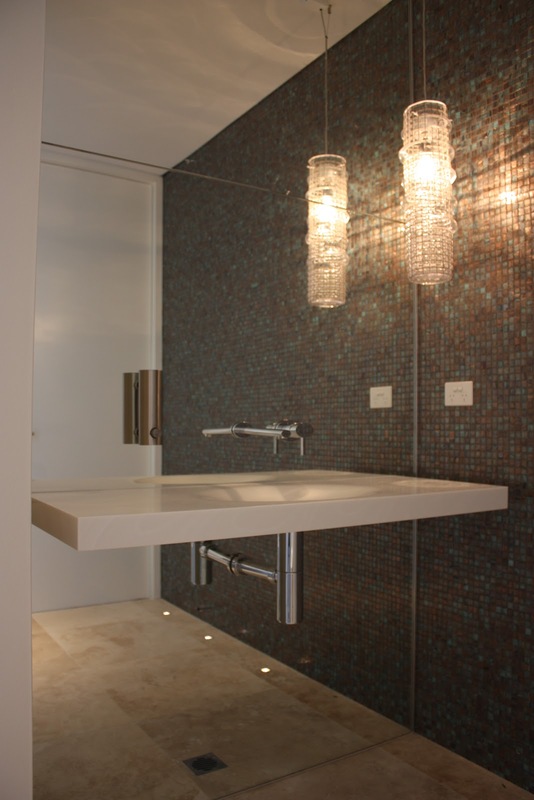 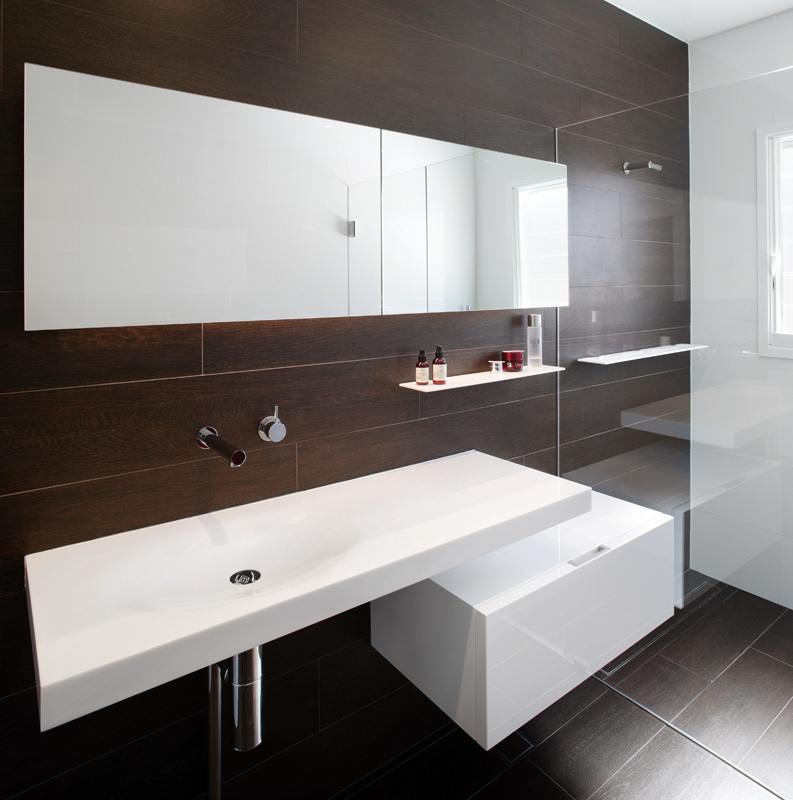 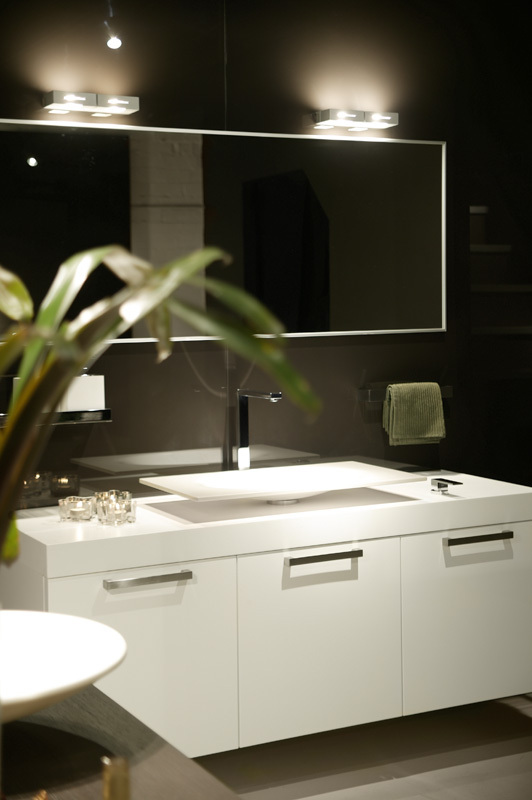 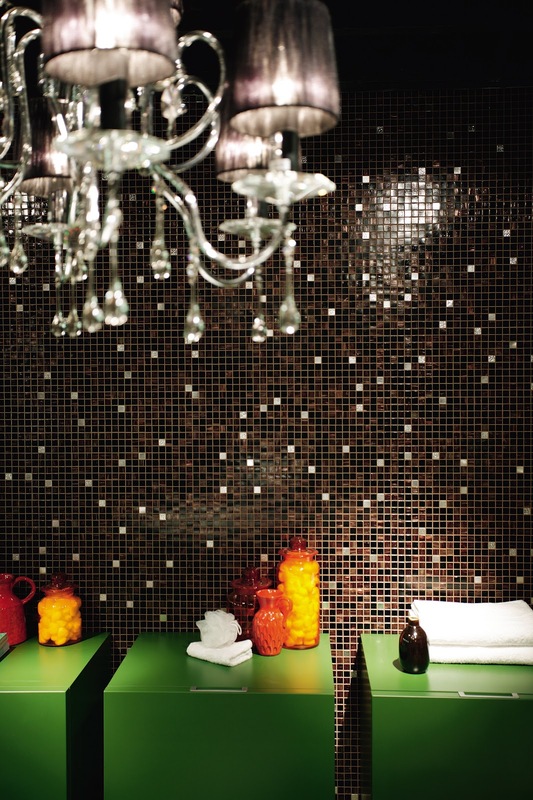 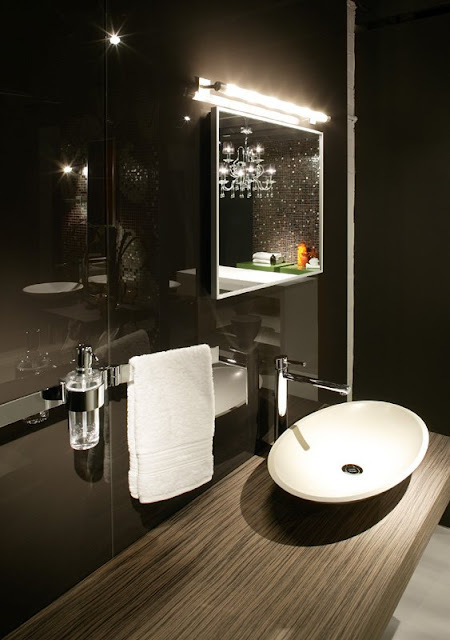 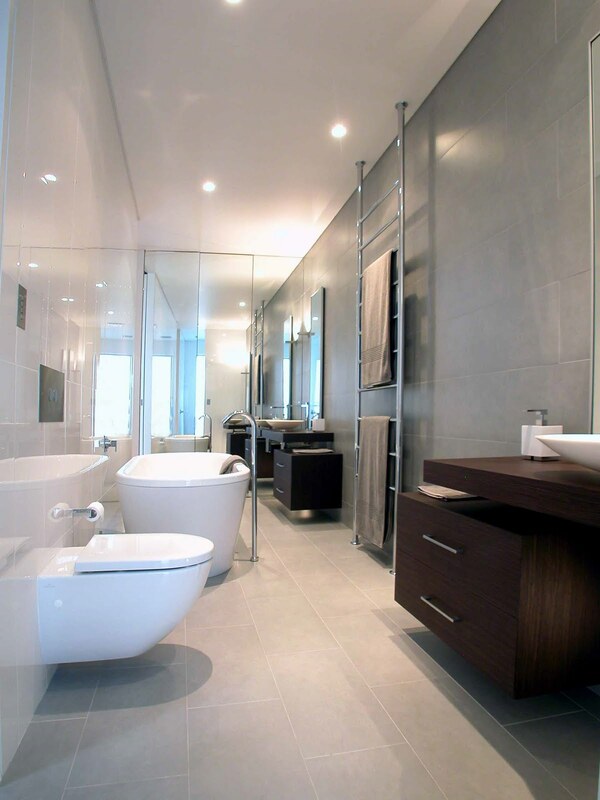 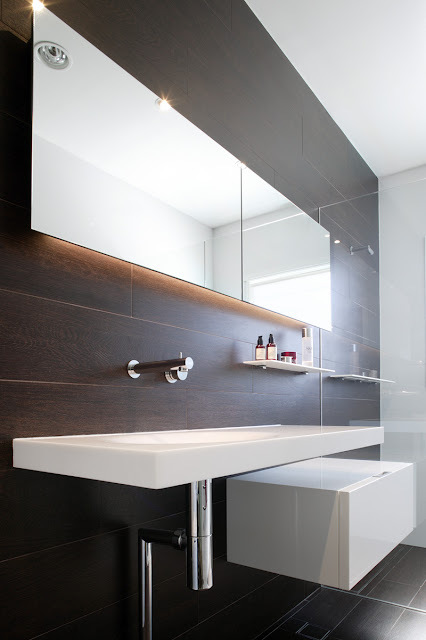 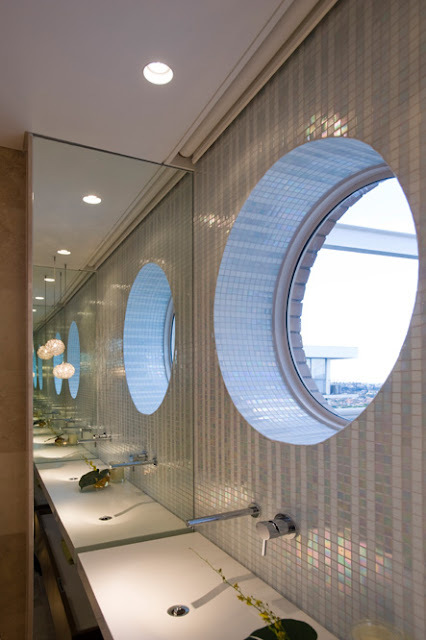 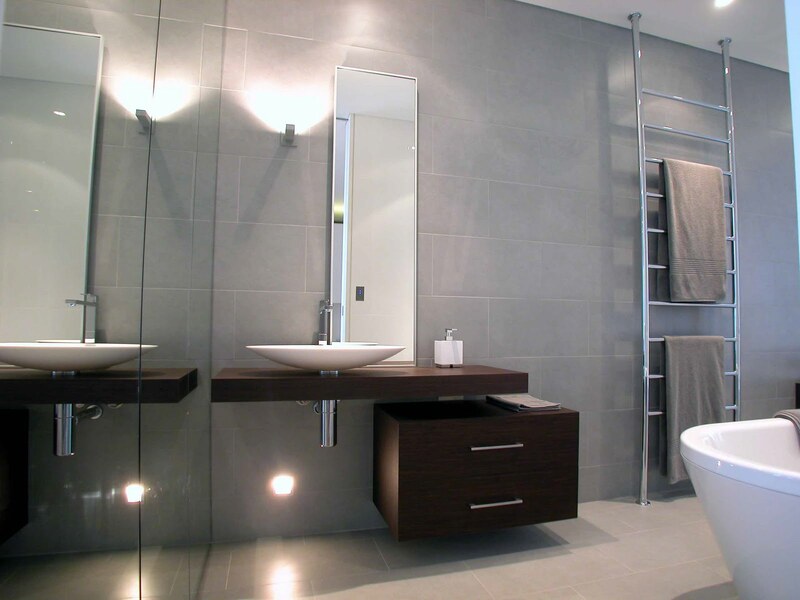 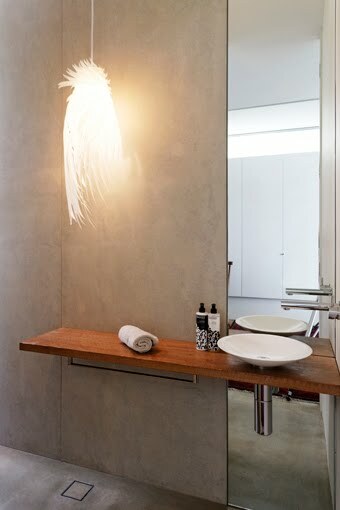 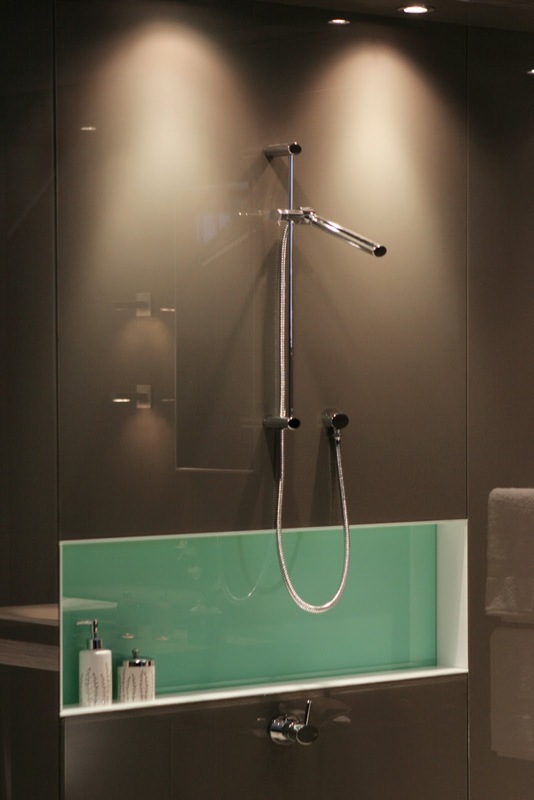 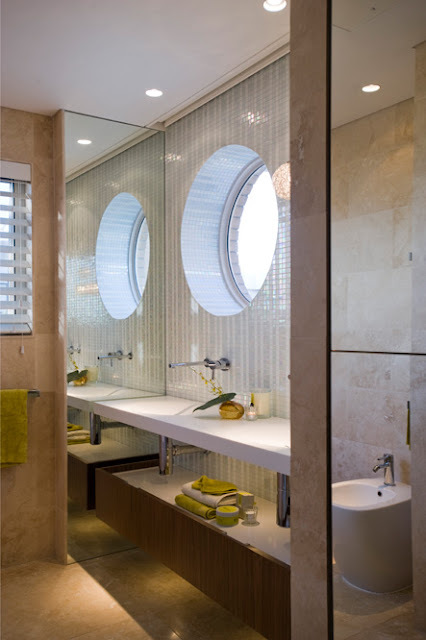 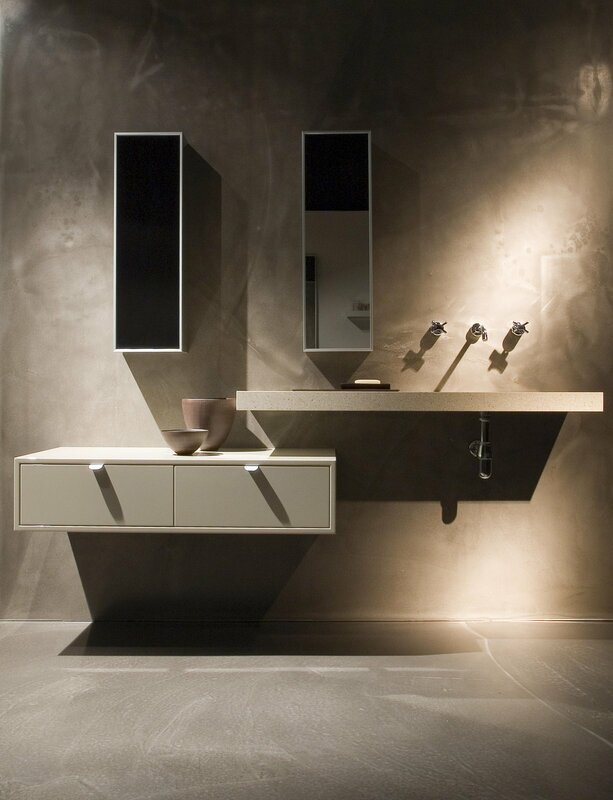 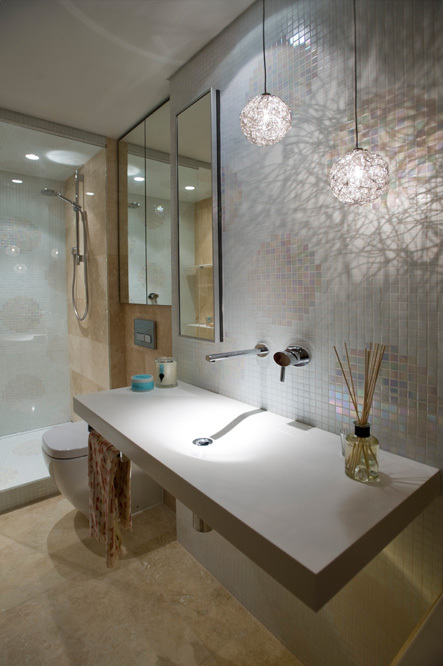 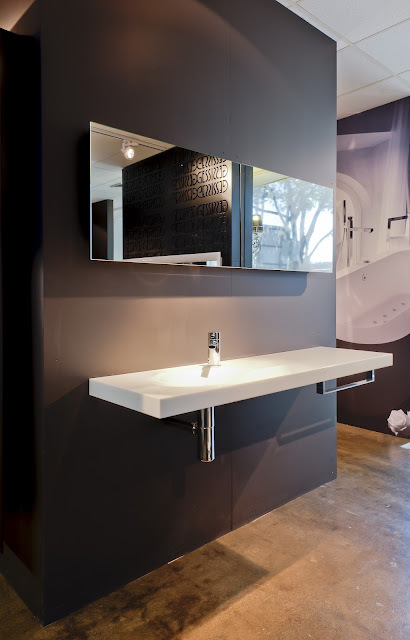 The use of LED lights below the basin adds depth to the room. 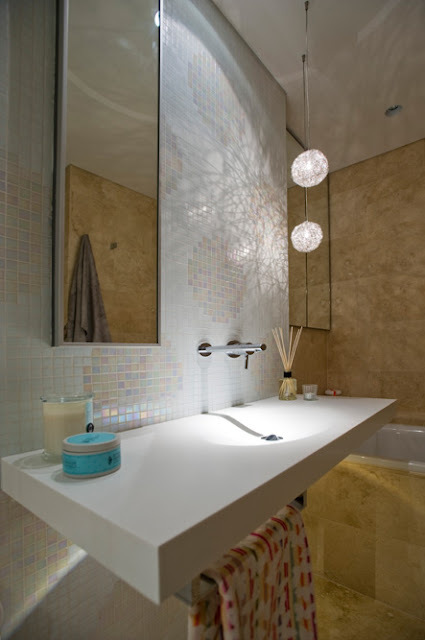 The double decoration of the Bisazza tiles & the Cattalina Smith "Sweet Lights"
By thickening up the wall we took the ugliest part of this 60"s apartment and made it a real feature..the side mounted mirrors make this space feel that much larger. The open plan Parents Retreat! 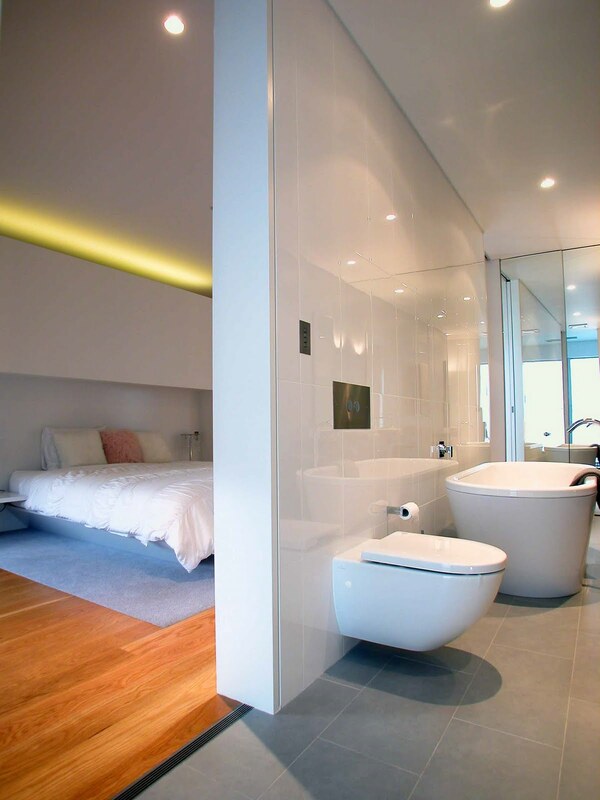 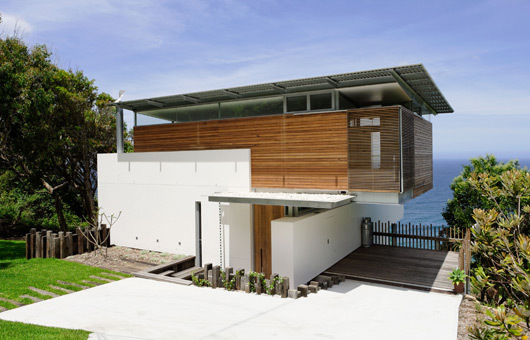 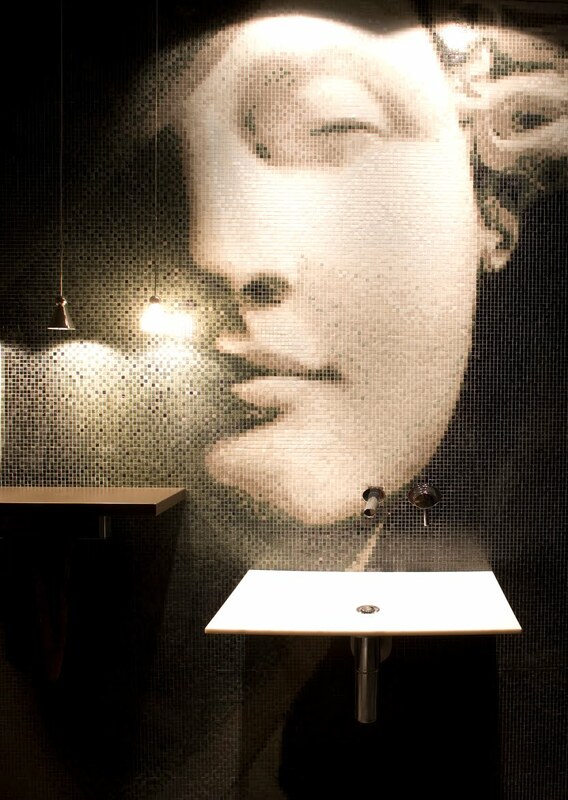 the walls come down to reveal a intimate space shared by two. 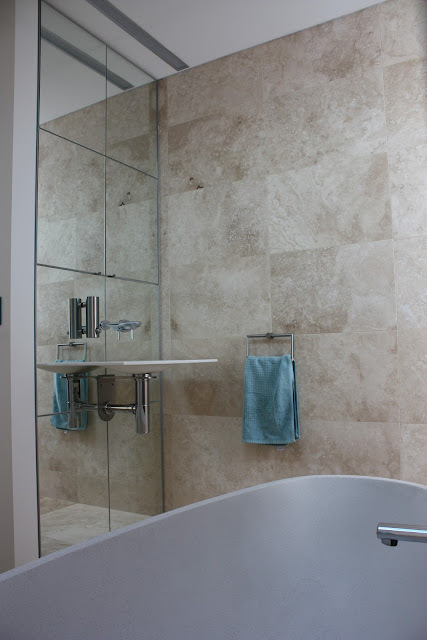 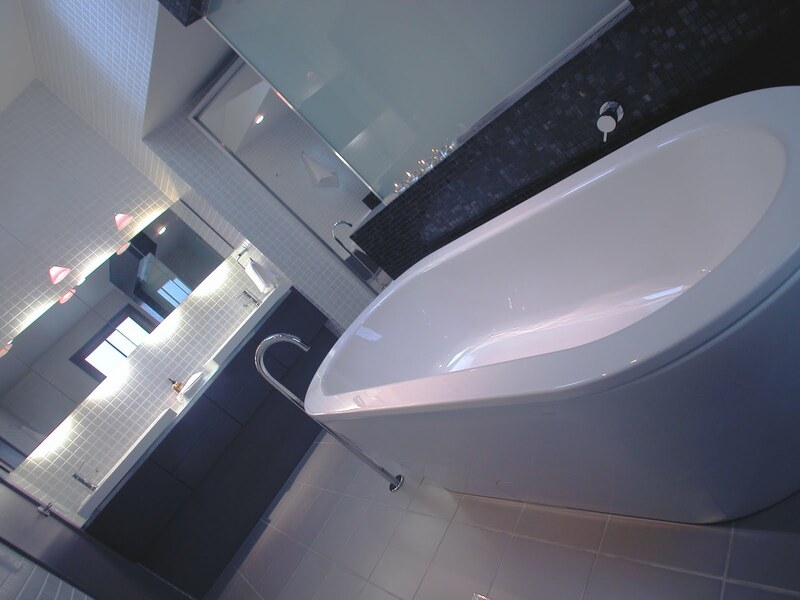 Rifra Status bath finished in Glacier White Corian - Bathroom furniture! The walls come down...redefining the boundaries of the modern bathroom - open plan ensuite or the parents retreat? 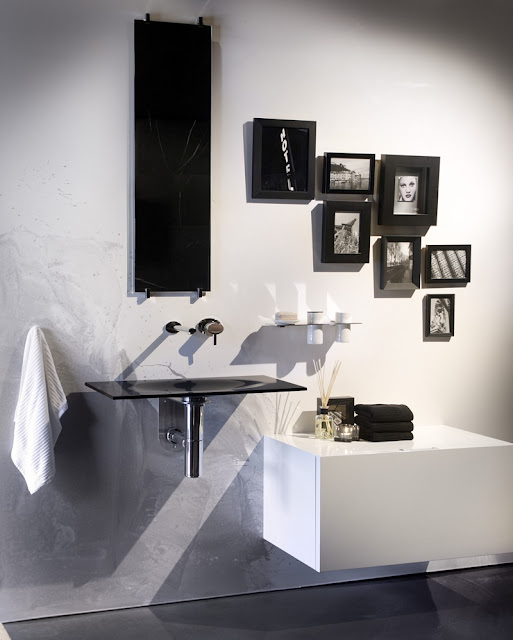 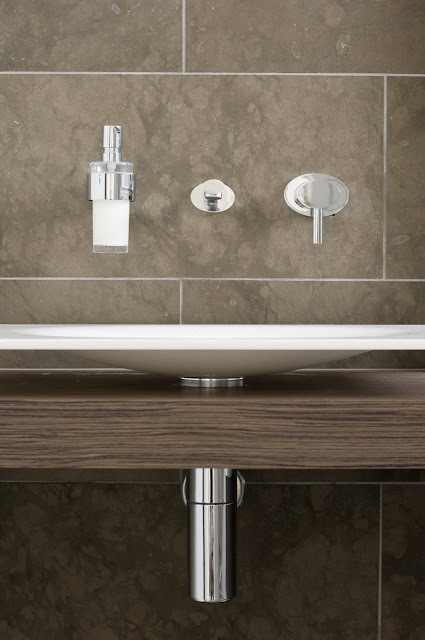 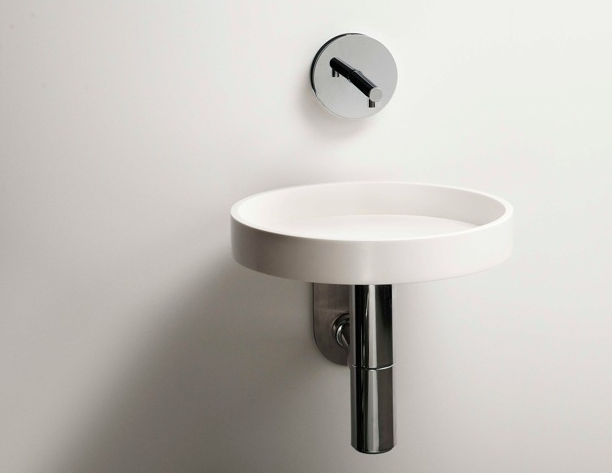 ScoopED washbasin with wet edge detail. 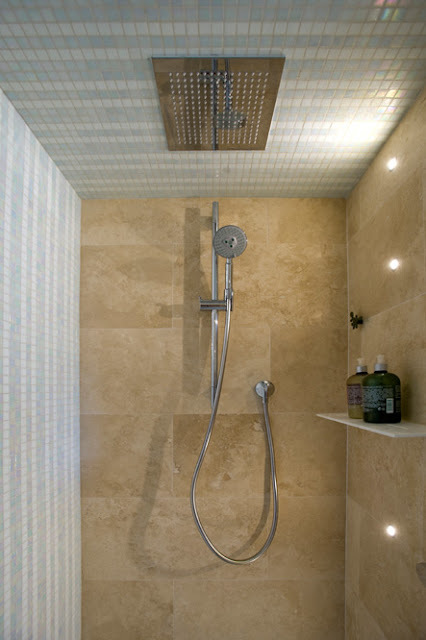 Custom ScoopED appears to penetrate the shower screen...the LED lighting is RGB controllable! 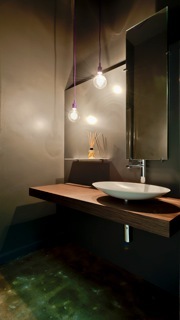 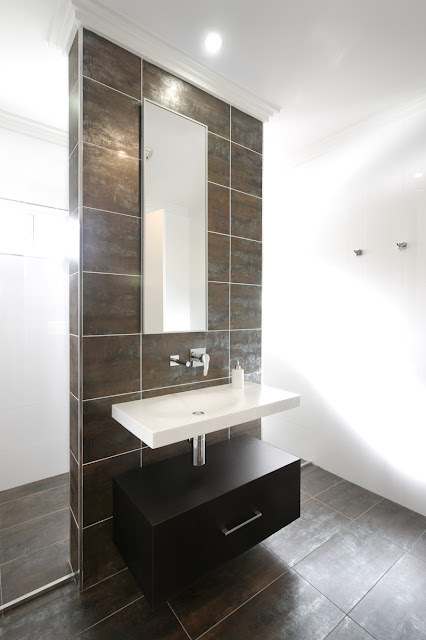 Kava Washbasin installed on recycled timber benchtop. 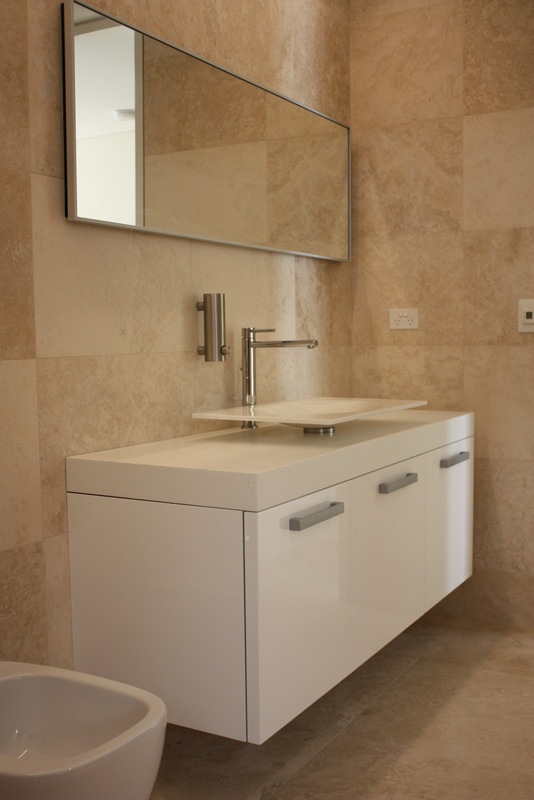 Scoop washbasin installed on RAW Bracket...makes a small space look large. 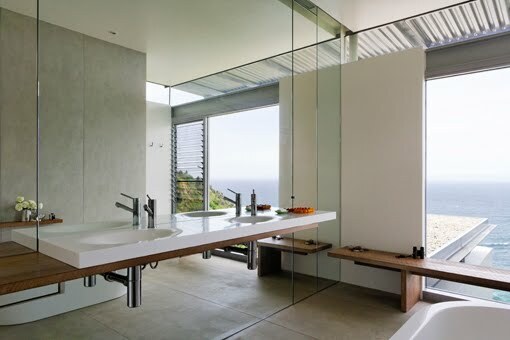 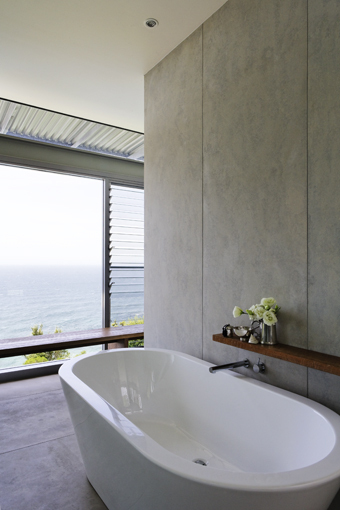 Bathrooms with a view! 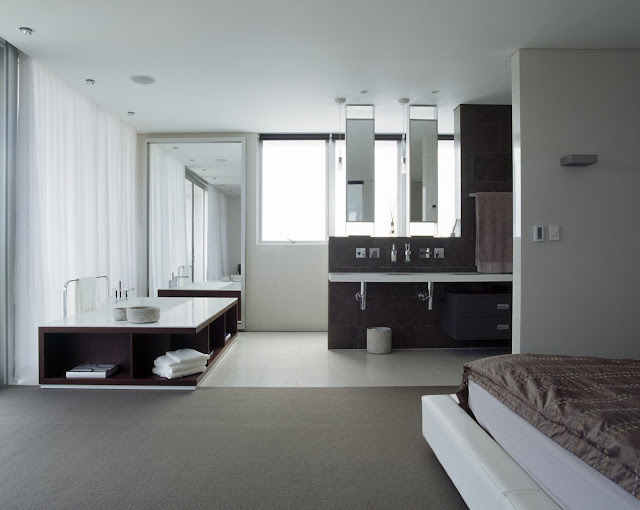 is there anything better? 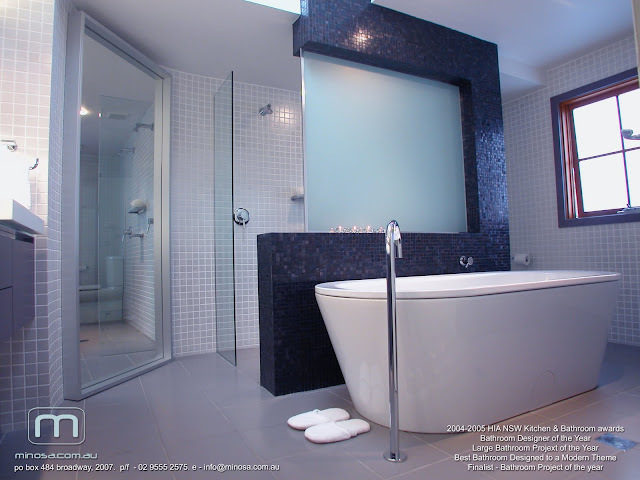 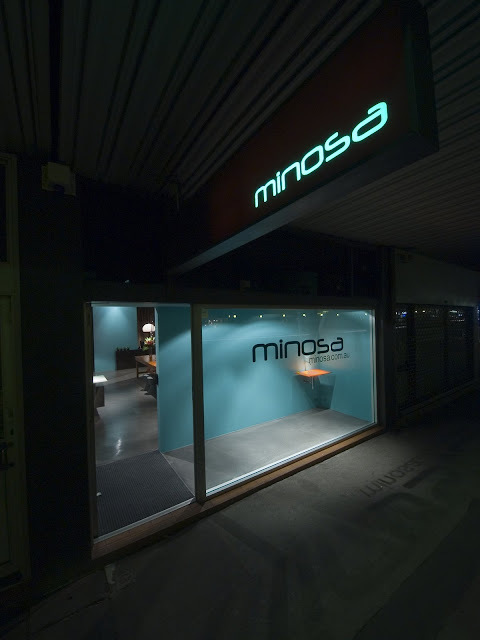 See our 3D CAD pre construction walk thru by clicking here.